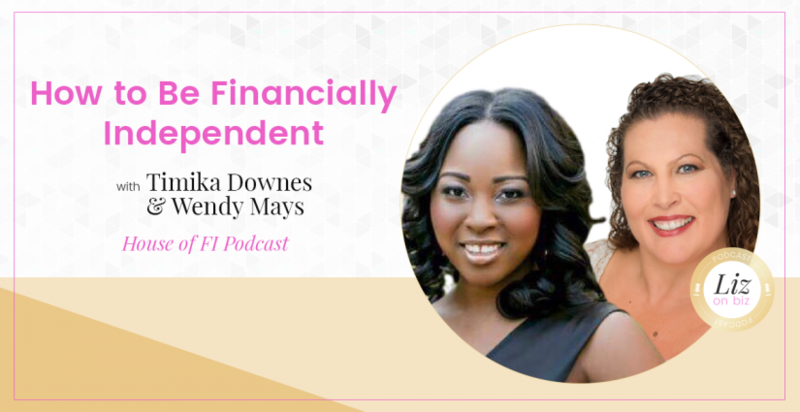 Timika Downes and Wendy Mays are personal finance experts the co-hosts of a popular podcast called, House of FI. Wendy shares her entrepreneurial beginnings – her solo practice as an attorney. Timika’s incredible debt-payoff journey and career as a school nurse. Her previous businesses – one was a breastfeeding product that didn’t go to market (but an amazing story) – and one being a head lice clinic. Selecting the name House of FI. FI can be overwhelming – how to get there: (1) assess where you’re at and (2) can this be eliminated or cut? Benefit of automating savings and payoffs.